7.3" x 11.4" stitched on 14 count. 5.7" x 8.9" stitched on 18 count. 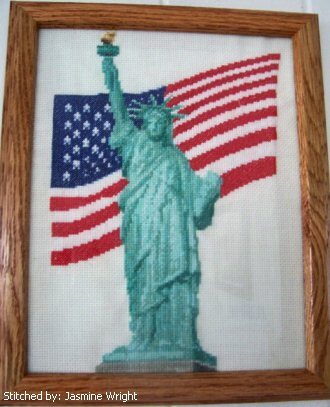 Liberty 9/11 Memorial cross stitch pattern... Our hearts and prayers go out to the families and friends of those who lost loved ones during 9/11. I'm not American but I still consider this to be a symbol of freedom and democracy everywhere.